Do you have a gathering place in your classroom? Is it on a rug with a calendar? A weather chart? Do you have a pile of rug squares for children to sit on? 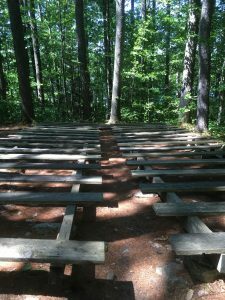 What about your Outdoor Classroom? Do you have a space to gather children and discuss what the outdoor lesson will be for the day? Or do children enter the outdoor space and immediately set off to run, jump and play? Do they ever settle into an Outdoor Learning Station? A good place to start is creating an Outdoor Gathering Place. 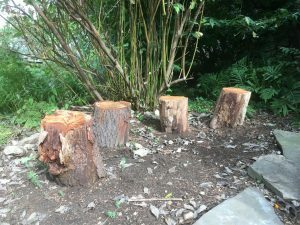 This area is a vital element to the Outdoor Classroom. 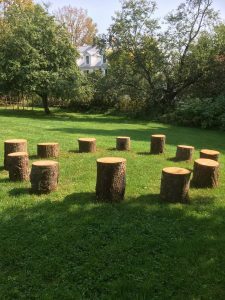 Outdoor Classroom spaces come in all different shapes and sizes. 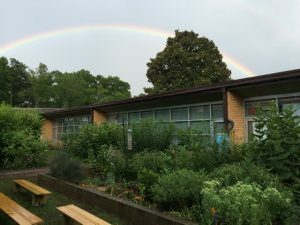 Therefore, the elements to any Outdoor Classroom may vary. The Gathering Place is like the kitchen to a house. It is a place to read books, share directions to activities and reflect on discoveries. Depending on your landscape, your gathering place may look a little different. Here are a few seeds of inspiration. Do you have an Outdoor Gathering Place? I want to hear from you. Where is your Gathering Place? What materials did you use? What types of activities do you do in your gathering place? 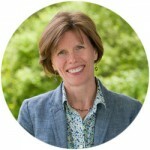 How do children respond to it? 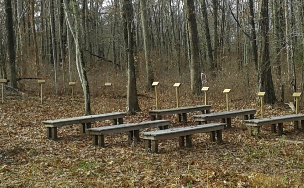 Do you have smaller gathering places tucked away in your Outdoor Classroom? Share in the comments below. Want to learn more about Types of Gardens? 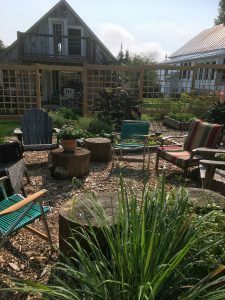 Garden Elements for an Outdoor Classroom? 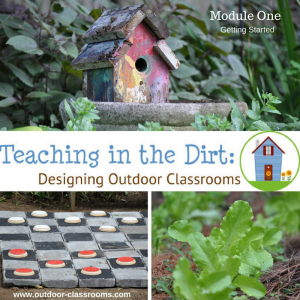 Check out the Teaching in the Dirt: Designing Outdoor Classrooms e-Course.